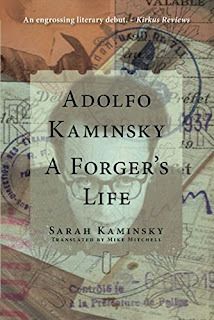 Sarah Kaminsky is the author of the new book Adolfo Kaminsky: A Forger's Life, which tells the story of her father's life. 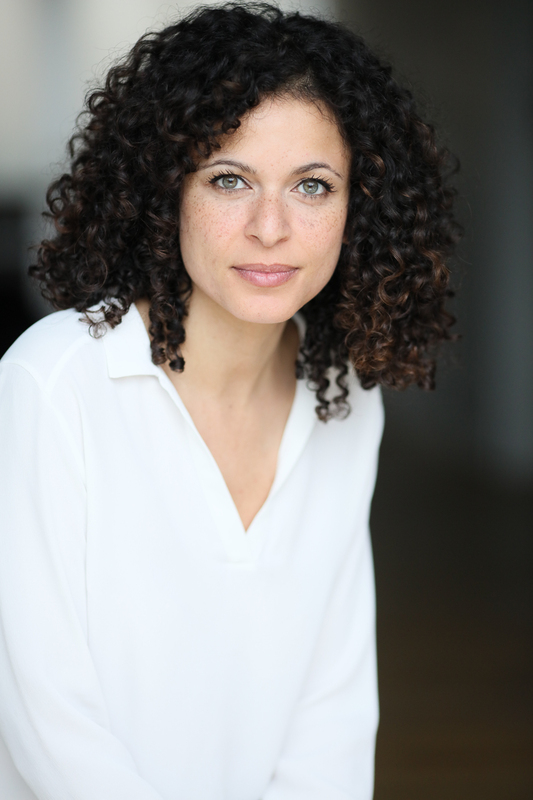 She is an actor and screenwriter, in addition to being an author, and she lives in Paris. Q : You write, "When I was little I knew nothing about the story of my father's life." How did you learn about it, and when did you decide to write a book about him? A : I can’t say exactly when I learned about my father’s story. As a child, I knew he had been involved in wars, but I couln’t say which ones. 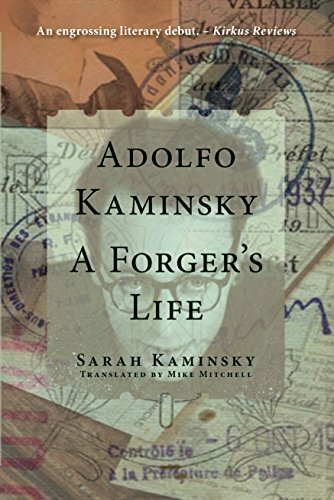 Growing up, I learned that it had been World War II, the Algerian war too, but I still didn’t know the other ones and that he had been a forger. He didn’t gather us (my brothers and I) and say "Hey, kids, I have something to tell you about me." He is very shy, and he wanted us to have a normal childhood, to stay far from the problems of adults. But there were friends of his coming for dinner sometimes who had fought with him, and I remember I heard things while I was listening to their conversations. When I was around 13 years old, I knew he had been a forger, but without knowing the details of his past life. When we asked him questions, he used to tell us, "I am writing a book, you’ll find all the answers to you questions when I finish it." He tried to write the book, but he couldn’t do it. That’s why when Alec, my son, was born, I decided to write the book. I was 24 then. My father was 77. I though it was now or never. I couldn't say precisely when I knew. There was never a family gathering at which our father announced, “Children I have something important to tell you.” It just happened as time passed. When I was very young, I liked to keep my ears pricked to hear what the grown-ups were talking about. I heard it said that he'd been in the Second World War, the Algerian War. But to my little girl's mind, 'being in the war' meant to be a soldier. I found it difficult to imagine my father, a pacifist and non-violent, with a helmet and rifle. Later on, books were published in which his name was mentioned; then there were documentaries in which he agreed to speak. Eventually, once I was grown-up, I naively thought I knew more or less everything there was to know. I couldn't imagine it would take me several years to gather together and compile all the elements of his biography. There were so many memories to be called up, people to be found, places to be visited. A lot of travel was needed to find my father's former comrades. The ones I wanted to question were scattered all over the world. One was in Portugal, another in Algeria, yet others in Israel, in Switzerland, in Italy, in the United States, in Latin America… Some were missing, already deceased. It was a matter of urgency to collect as many accounts as possible before there were no more witnesses left. I realized that time had suddenly started to fly. My father was no longer young; he was about to celebrate his seventy-eighth birthday. I was twenty-four, and I'd just had my son, Alec. All this triggered something in my mind: for the first time I realized my father wasn't immortal. The birth of Alec brought its share of joy and wonder, but also this fear: was Alec going to have the time to get to know his grandfather? If that didn't happen, would it be up to me to tell him the story of that remarkable life? Q : Why did you decide to write the book in first person, and how did your father participate in the book's creation? Why is the book written in the first person, as if my father were relating his own story, while I wrote it myself? In fact I started the manuscript in the third person and in the past tense. But, after having developed several chapters, I got stuck in the narrative, incapable of continuing. It wasn't the well-known 'writer's block,' since I knew exactly what I wanted to write. I was paralyzed. For months on end, with no idea why, the very thought of sitting down at my computer made me feel ill. I decided to take a break and devote myself to other activities. The weeks passed, and I still couldn't find a solution to my problem; I was starting to have serious doubts about my ability to complete the project. That is, until the day I realized that talking about my father in the past tense was as good as writing his obituary in advance. So while he was there in front of me, very much alive, replying to my questions, I had the feeling I was pushing him into his grave. I had a revelation: I had to let him speak! I deleted all my work and started from the beginning again, using the first person, giving him a voice. Q : How did you separate your roles as daughter and observer as you wrote the book? A : When I was asking him questions for the book, we were not like father and daughter. I was an observer, I had to do a lot of historical research to connect it to his personal story. I had interviewed a lot of people of résistance movements, etc. So I had a professional approach. When the work sessions were finished, I became a daughter once again with my father. Of course the fact that we are father and daughter made it easier because of the trust we have in each other. Q : What surprised you most as you worked on this book? A : Many things surprised me. I couldn’t imagine the amount of forged papers he did to save lives, for example. I didn’t know he had such a hard life either. What struck me most in the course of our discussions was his feeling of being responsible for the lives of others and guilt at having survived. They are feelings he has retained throughout his life and which doubtless explains why he continued to forge papers for thirty long years, at the cost of all sorts of sacrifices. For sacrifices there were, and many of them. Financial sacrifices for, in order not to be a 'mercenary', he always refused payment for his forged papers, with the result that he was always broke; sacrifices in his relationships, for his double life caused many break-ups—his repeated unexplained absences made his partners think he wasn't truly involved or was even being unfaithful, and eventually left him; family sacrifices, since long before he married my mother, Leïla, he had two grown-up children by an earlier marriage… I was very little and had just arrived in France when my father introduced me to my half-sister and half-brother. Unfortunately he hadn't been able to bring up these earlier children, who were thirty years older than me, the way he would have liked. My sister told me that he once disappeared for two years without sending any news, nor even saying goodbye. They often thought he was dead, sometimes that they'd been abandoned. They had no idea that his long silence was aimed at protecting them. Now I could better understand why my father didn't really like talking about the past. And I realized how fortunate I had been to have a dad, a dad who was there. Q : What are you working on now? A : I am an actress and a screenwriter. As an actress, I am part of a theater group that explores feminist issues. As a screenwriter, I work on several screenplays, both comedies and dramas, and I also work as a script-doctor. This year, two of the screenplays I was working on are going to be released as films in France: Raid-Dingue (a comedy by Dany Boon) and Gauguin (about the painter, a movie by Edouard Deluc). Q : Anything else we should know? A : I also plan to make my first movie as a director. I’m now working on the screenplay of it.